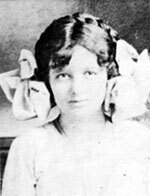 ON Sunday, April 27, 1913, the body of Mary Phagan, a child laborer, was discovered in the basement of the National Pencil Company factory in Marietta, Georgia. Leo Frank, the northern-born factory superintendent, was director of the local chapter of the Jewish secret society, B'nai Brith. He was arrested and charged, tried, found guilty of murder and sentenced to hang. The sentence was later commuted. 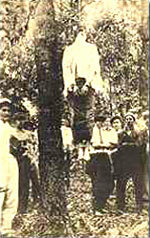 On August 16, 1915 twenty-five men abducted him from his cell and lynched him the next day in Marietta. In the aftermath of his murder, the Anti-Defamation League was formed and campaigned vigorously for a posthumous pardon. This was finally granted in 1985. 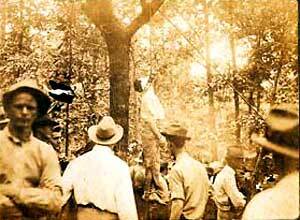 The Leo Frank Lynchers - an identification of those involved in the lynching by Stephen Goldfard, Ph. D.
Brandeis Universiy Library Special Collections department holds correspondence from Leo Frank and his wife, Lucille Frank: correspondence to and from Governor Slaton, Frank's lawyer Luther Z. Rosser and others; as well as miscellaneous articles, pamphlets and legal documents.